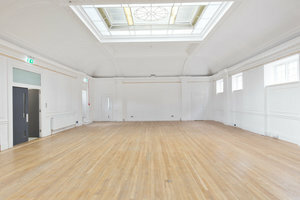 Situated in cultural Wood Green close to Alexandra Palace, this cultural 800 sq ft space is an excellent location for Art Exhibitions and Showrooms. 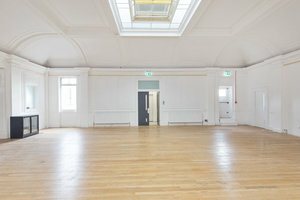 Housed in a modern building with a brown-stone entrance, this space is open with a arty ambience. The interiors here are contemporary with luxury wooden floors, white walls and track lighting. The space has a creative atmosphere and a sleek open plan adds a white-box feel to the space. 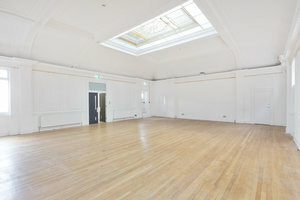 With facilities including a storage area and sound and video equipment as well as a operating bar, this space can accommodate a range of unique events. 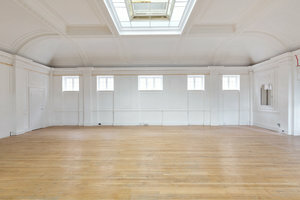 Surrounded by popular art galleries and independent retailers, this space is great for creative professionals and designers to host unique events in a trendy setting.